Many reading apps on mobile devices can control the screen brightness setting, but few can match the feature that Oyster just added to its mobile apps. 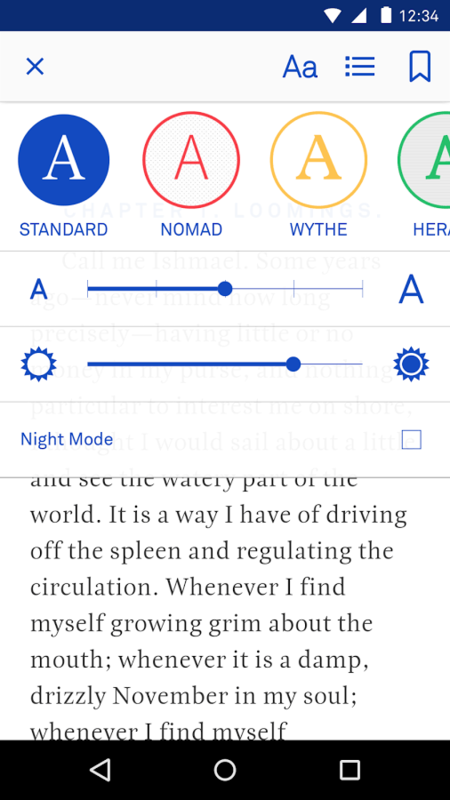 Oyster rolled out a new version of its reading apps for Android, iPad, and iPhone which adds a couple reading themes (Ace and Highline) as well as Lumin, a color filter option which adjusts the amount of blue light coming from your screen. Turn Lumin to ‘Auto’ mode and Oyster will use your location and the time of day to automatically adjust the amount of blue light coming from your screen as the sun sets and rises. Just turn it on once, add your location, and never think about it again. Custom Lumin mode. You can also choose to adjust your Lumin tone & temperature settings manually. Change light level based on what looks good to you, and choose from a range of lower-contrast backgrounds. Custom settings stay constant throughout the day. You can find the apps in Google Play and iTunes. Update: Teleread had a GIF which demoed the Lumin feature. So tell me, have you used this type of light filter? If you don't have the Oyster app, there are other options for mobile devices (iTunes, Google Play) and for PCs. I've tried one which was similar to the automatic Lumin setting (f.lux). I installed it on my PC - and quickly turned it off. While I'm sure there is research to back up the idea, the color shift was unappealing. I'd much rather stick with the brighter and less healthy original color scheme and then turn off the computer early in the evening. The manual settings, on the other hand, do interest me because they could be used to boost readability. That matters more to me than whether the screen time has a positive impact on my sleep pattern. does blue light from screen have any useful correlation with daylight? i mean blue light should be minimal all the time and that makes the screen yellow.